Taylor was born in 1991 in Rome, Georgia. She moved to Oxford, Mississippi for college in 2010 to study at the the University of Mississippi. Having never thrown before, she signed up for her first ceramics class and started throwing for the first time,and she was hooked instantly. 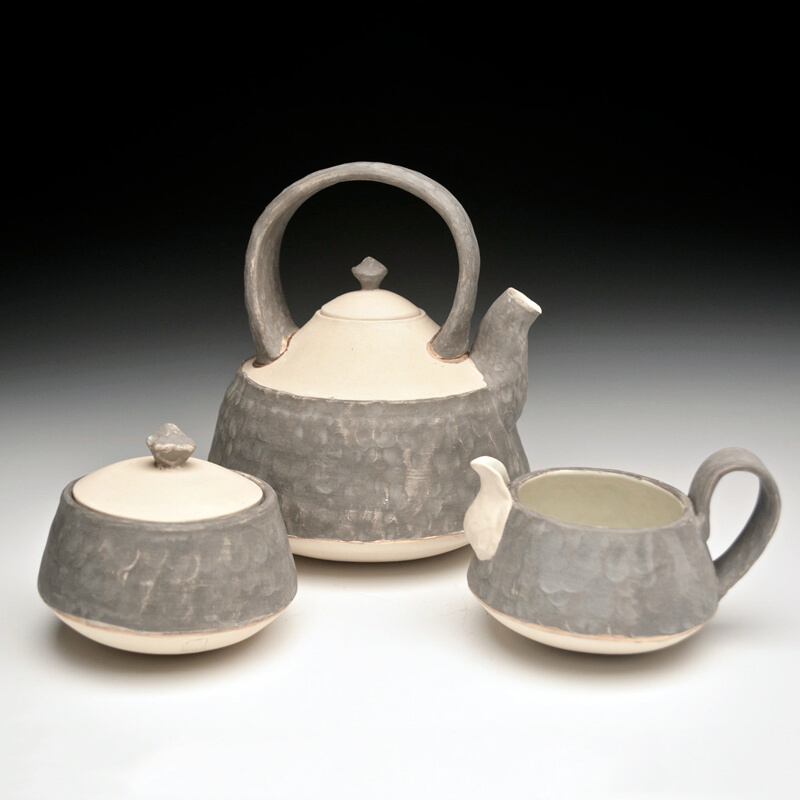 Studying under Matt Long she received her BFA in Ceramics in 2016, making functional pottery meant to showcase the comfortably and hidden treasures of the South. She has had exhibitions in Gallery 130 and The Powerhouse and sold her work locally. Currently Taylor resides in Oxford, Mississippi continuing to make work from her home studio. My deep love for the South is the foundation of the pots I make. The South’s pace, rich history, strong tradition, love of food, and the beautiful delta landscapes have captured my heart. I desire to be a part of these charming Southern qualities, producing pots that reference and talk about this type of lifestyle. The South, especially Mississippi, has a reserved and soft nature, so much so that it could be easily missed if you don’t pay attention. But when you stop and look and get to know the people and places that encompass the South, the unassuming qualities of strength and desire are evident. I strive for this same personality in my work; simple when you first look, but something brings you in closer potentially changing your understanding of the piece. Much like the delta landscapes, there are no grandiose mountains, yet there is a quiet beauty in the simplicity of the terrain. My choice of material is important, with my simplified color palette and use of gold details, referencing the wonderful simplicity and hidden treasures of the South. I make functional work that is meant to reflect the history and tradition of gathering around a table with family and friends. Food is an important part of people getting together in the South. Whether it’s cornbread and milk, biscuits and gravy, or fried pork chops, I want my pieces to accommodate these meals, and bring people to a quiet and unpretentious setting. My pieces are first thrown on the wheel and then hand pinched to create texture leaving a rhythmic mark in the work. The act of pinching affects the visual pace of the piece, referencing the purposeful pace of life in the South, which I love. I make the surfaces bumpy yet very soft by using terra sigillata. Your finger tips can rest comfortably in the nooks of my pinch marks when eating a bowl of chicken and dumplings or sitting on a large porch drinking a cup of coffee. The rounded bottoms of my pieces are designed to fit the natural cup of your hand, and to create visual tension, making the user take care when placing the piece on the table. My hope is that when someone uses one of my pieces, they are met with an unpretentious moment exemplifying the mark of the maker that points to the simple, yet surprisingly soft and beautiful details that reveal themselves through use; hopefully capturing my deep love for the South.